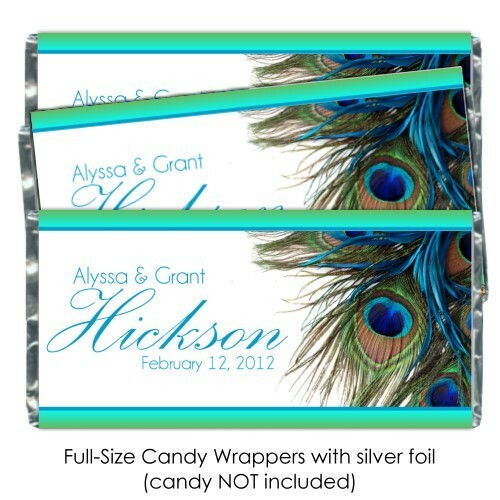 These peacock wedding wrappers will be perfect for your bridal shower or wedding reception! Not only are our wrappers outstanding in quality of paper and printing, they also come with silver foil sheets so that your personalized candy wrappers mirror the original Hershey bars! 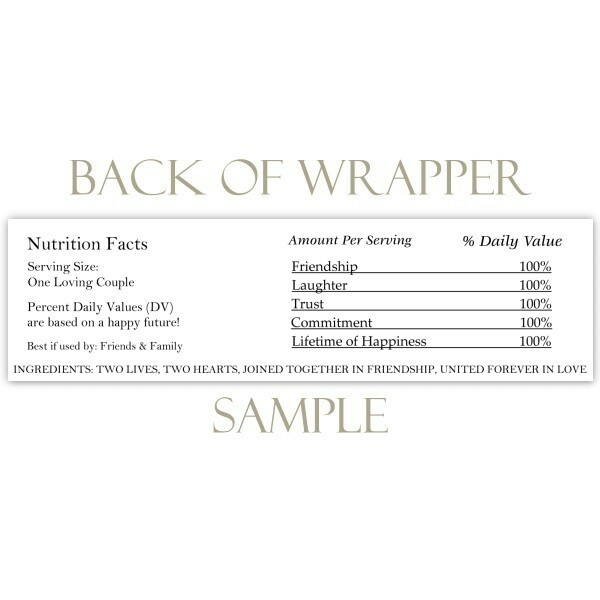 Our wrappers fit full-size (1.55 oz.) Hershey bars. These wrappers are an affordable 99 cents each!